tition table found in sector 0 of the disk. program for creation and manipulation of partition tables. device name refers to the entire disk. only, Windows uses both, Linux never uses C/H/S. to cause difficulty unless you have OS/2 on your machine. kernel and the disk hardware may buffer data. we consider this a bug in DOS FORMAT and DOS FDISK. tition before using DOS FORMAT to format the partition. first 512 bytes of the partition. small typo can make all of the data on your disk useless. 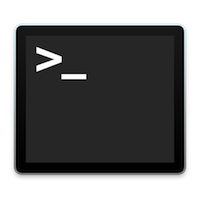 with the Linux fdisk or Linux cfdisk program. -v Print version number of fdisk program and exit. /dev/sd[a-h], /dev/ed[a-d], and then exit. the size of the partition which will be formatted. size of an extended partition. The option `dump partition table to file’ is missing.